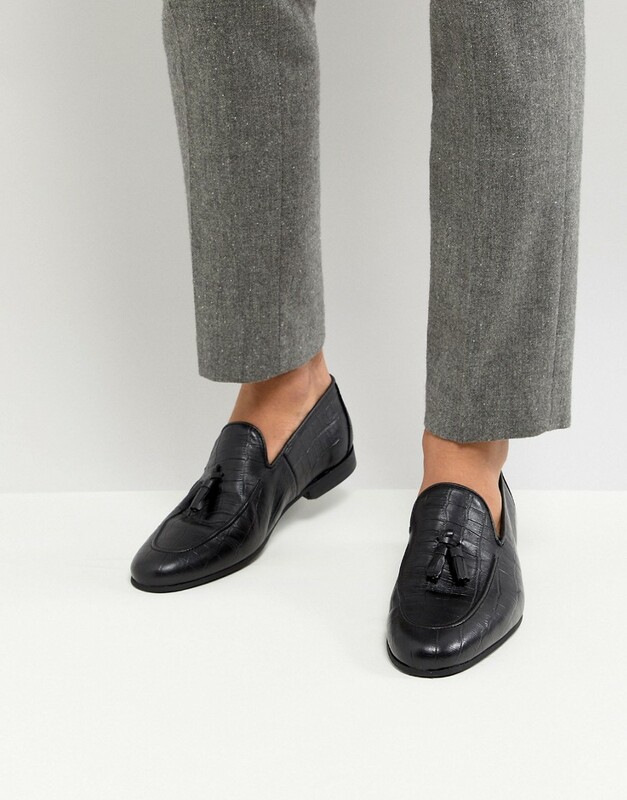 Loafers by River Island, Seriously sophisticated slip-ons, Faux-croc finish, Tassel detail, Penny front, Slim toe, Smooth tread. High-street favourites River Island are known for adding unique touches to their directional menswear pieces. Expect a complete range, covering everything from the newest denim cuts to graphic print T-shirts and knitwear.